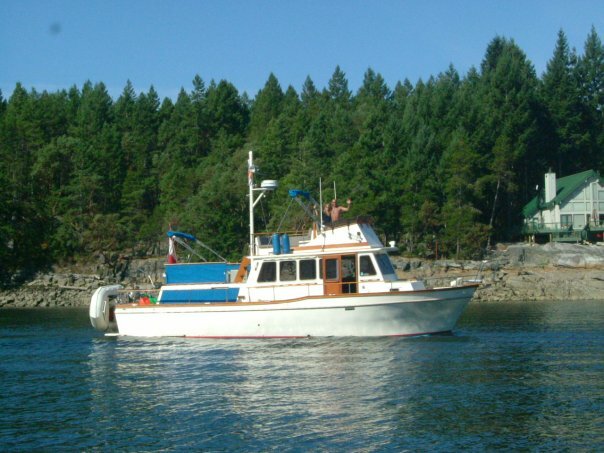 The MV Minstrel is a 1979 42ft Californian Navigator LRC (Long Range Cruiser). It’s a trawler style boat and we mainly like to cruise at around 9 knots…not too fast. My human parents have had it for about 5 years now. 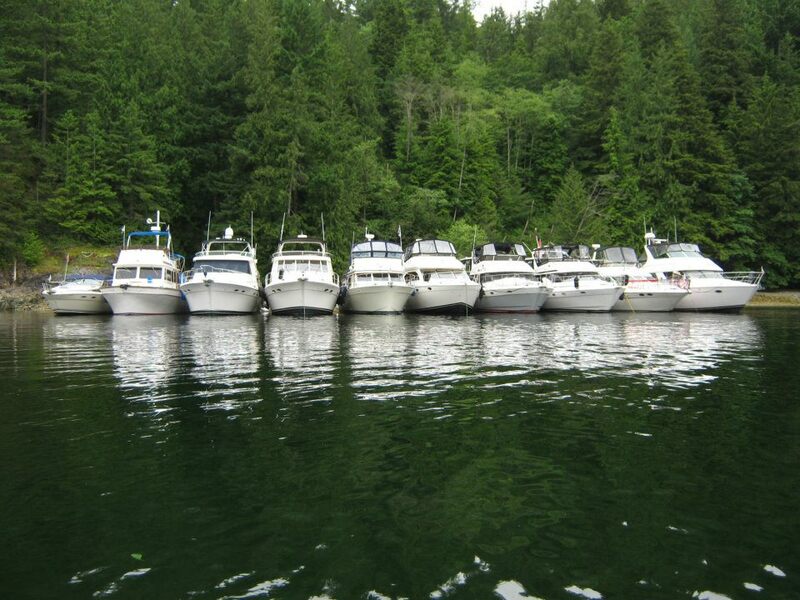 We generally travel the coastal waters from the north of Vancouver Island, to the south. One year we plan to take a couple of months and cruise to Alaska. Apparently a fun human thing to do is decorate the boat. 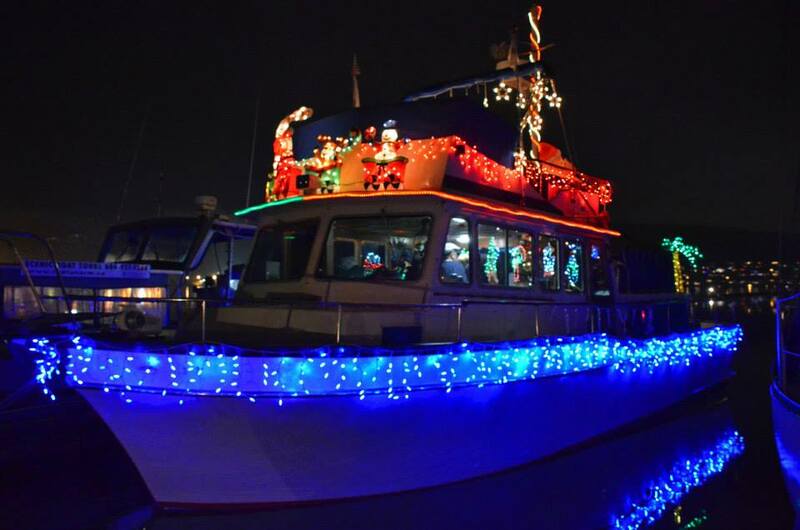 For Christmas, we pawticipate in “Santa’s Christmas Ships Parade” and cruise around every Friday & Saturday night for most of December. For a very good cause we decorate up pirate style for “Boat For Hope” which is a charity event for special needs children. We take them and their families for a high seas treasure hunt in the inner harbour of Vancouver, BC. 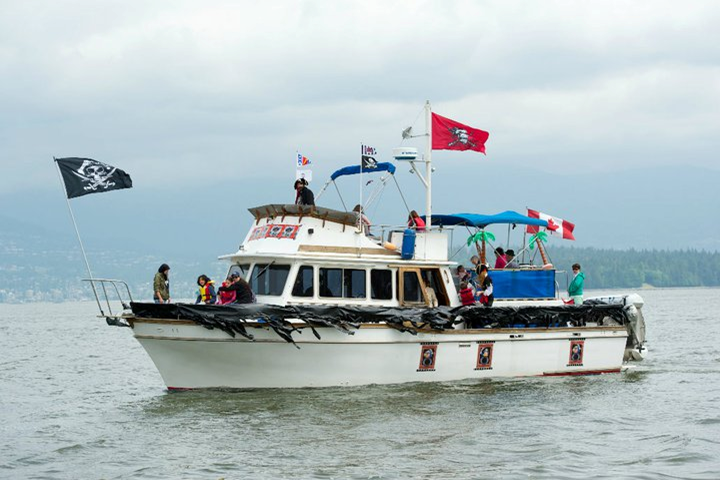 Other themes are whatever are chosen on a cruise with the Port Moody Power & Sail Squadron by the Cruisemaster such as Hawaiian Day and Mexican Day, and of course there is Canada Day. Minstrel ready to cruise in the Santa’s Christmas Ships parade. Minstrel decked out for “Boat For Hope” taking special needs children out on a pirate themed treasure hunt. Social raft-up with other members of the Port Moody Power & Sail Squadron. Minstrel proudly flying the Canada Day colors.